Change your life and improve your well-being with Nutrition and Cleansing… Support, Guidance and Empowerment Tools included. Spring is a time when people might naturally feel invigorated and motivated to make changes in their lives. We could yearn to clean house, so to speak—to throw out old ways of doing things that no longer work for us and find new routines that unlock deeper levels of joy in our lives. It is a time to renew our commitments. It is an invitation for us to devote more attention to what is most important in our lives—to focus our efforts on that which makes us feel vibrant and full of life. We encourage you to engage in a Spring time cleansing Action to solidify this commitment. Take the time to write out your affirmations and wishes during the time leading up to this cleanse, as the immense power and energy created by the universe will provide extra strength to you in following through on your promises to yourself. Meditate on what you want to see happen in the world. Take a long walk in nature. Make it a daily practice to open your heart to new possibilities, and you will be surprised by what you become capable of accomplishing. … With that in mind, this is the perfect time to start an Internal Cleanse and jump start our health. I will offer a variety of options, from one week to 30 days, that meets your needs and lifestyle. There’s also info. on the Blessed Herbs Kit I like to use and weekly updates on cleansing schedule for each week. 10-day Transformation Program. Great for a basic cleanse, energy boost and shed a few pounds. 30-day program for a complete full body cleanse with practices for maintaining positive changes. 3-month “Optimal Performance Program” to create permanent lifestyle changes and massive improvements in diet, habits, and choices. Spring and Fall are the best times to cleanse and give the body, mind, and spirit a fresh start. Look good, feel great, and boost your vitality by detoxifying the body for overall optimal health and Well-being! 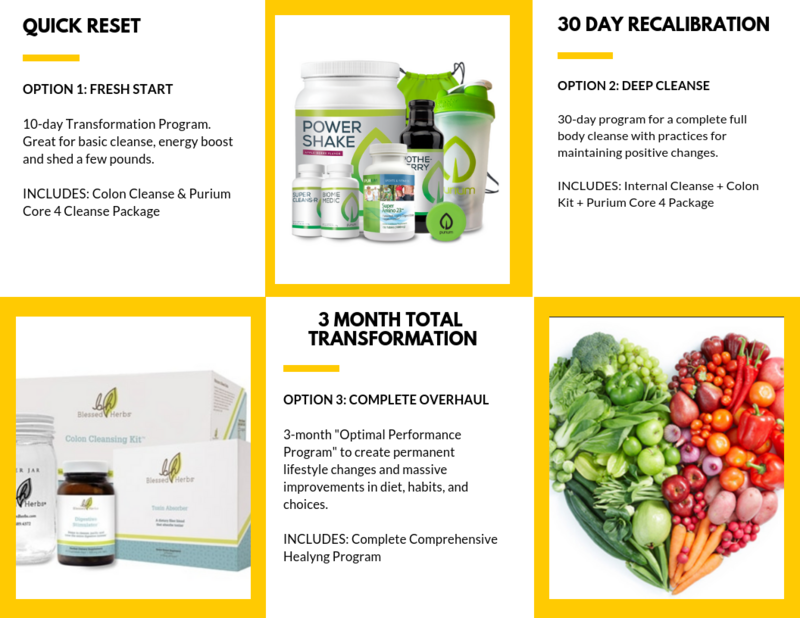 The cost for the 4-week supplies is just $400, and I will order the kit for you (includes a FREE colon kit– $100 value, a complete blessed herbs internal cleansing kit, and support/guidance). Practice yoga and meditation; dance, go hiking, biking, and enjoy the outdoors! 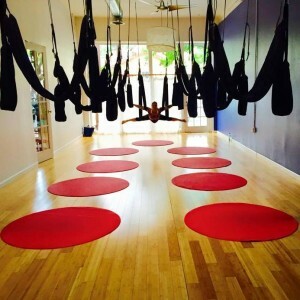 We will be using the chakra system and the 8 limbs of yoga to understand the symbolic nature of our thoughts and actions, and we will practice how to live the life we truly want– to the fullest! very helpful to release and accelerate the healing process during cleansing time. Our herbal stimulant formula not only helps the bowels move regularly (2–3 times/day), but also includes carminative herbs that reduce or eliminate cramps, gas and griping that could be caused if stimulating herbs are taken by themselves. During the forth week, you will concentrate on your Blood, Skin, and Lymph systems. You will be taking two formulas, Blood & Skin Rejuvenator™ and Lymph Rejuvenator™, three times per day during week four. During the last week of the cleanse, an amazing five day sprouted green juice fast is offered and recommended…more to come on that when we get there!! Nutritional Cleansing is built upon the health routine of cleansing, including fasting and drinking herbal remedies, which has been practiced throughout history. Cleansing gives the body the chance to rest, regenerate and assist in its natural ability to remove toxins and impurities to promote long-term wellness. However, Nutritional Cleansing improves upon this ancient practice with a system that cleanses, replenishes and revitalizes the body with essential nutrients. Fasting helps to remove impurities from the body, but Nutritional Cleansing speeds up this process by infusing the body with healthy nutrients. The final component is an infusion of essential nutrients, which includes daily supplements taken that provide essential vitamins and minerals to optimize health. Nutritional Cleansing is not a “quick-fix” or a diet, but a means to creating a healthy, manageable lifestyle. The benefits of Nutritional Cleansing, combined with the convenience of a complete wellness system, has given people the ability to change their lives in remarkable ways and has created greater health and sense of well-being. The gastro-intestinal tract is full of nerve cells and neuro transmitters – in fact much of the neurotransmitter ‘serotonin’ is located in the gastro-intestinal tract. Stress, nervousness, fear and other emotions play out their drama in the gut causing this area to hold knots of tension that can build up to become pain and illness. One of the reasons people feel so vulnerable and awkward about their abdomen being seen or touched is often because of the all emotions that are stored there. According to Taoist teachings, each major organ in the body holds energy which manifests differently according to whether it is in balance or not. Thus, for example, the liver will manifest the energy of generosity and kindness when it is in balance, or anger and frustration when not. Most people do not realize that all their non-processed emotional life is stored in the digestive system waiting to be addressed – emotions need to pass through the small and large intestine to be eliminated. Poor emotional digestion is a large reason for ill health because emotional blockages prevent good physical energy flow. Massaging the abdomen gently and deeply allows the emotions to be connected with and released for good.